. @EVesnina001 edges Kuznetsova in @BNPParibasOpen three-set Final thriller! I have always wanted to attend Super Sunday, the alternative St. Joseph's Day celebration in which the Mardi Gras Indians return to the streets of New Orleans to parade after Mardi Gras. There are a couple of smaller parades, but the main one takes place in central city. I brought this idea up--back when I thought the Indian Wells final was on Saturday--to a couple of my friends, and we decided to go. When I learned that the final was on Sunday, St. Joseph's Day, I decided that--following the festival and the parade--I would "tune in" on my phone and catch what I could of the match. Little did I know, at the time, that the final would be a three-hour thriller contested between two players I like a great deal. And little did I know what a disorganized mess the main Super Sunday "event" would be. We arrived at 11:00 so that we could enjoy the pre-parade festival. Only the "festival" consisted of nothing more than blocks of trucks selling food that I cannot (and do not want to) eat. That was it. No art, no music, no nothing--but lots of heart attack food and plenty of alcohol. It was hot, and there were a lot of people there. I don't do well in crowds, but I was willing to do almost anything to see the Indians. Finally, there was some entertainment--a hip hop singer took the stage. But no Indians. I sat on the basketball bleachers of the public park/playground, with my earphones in and my phone set to the WatchESPN app. I got pretty involved in the first set, and when it was over, I was sweating, but there were still no Indians. At 3:00, there were no Indians. I was eating my phone data because the only available WiFi wasn't strong enough to handle video. I didn't care--I was totally wrapped up in watching Elena Vesnina come roaring back after being down a set and a break. It was a great match, which I should have been watching on a big screen in the comfort of my living room, but there I was, either on the ground or in the bleachers, sweating and uncomfortable (and hungry), trying to figure out when my phone battery was going to die. A very good band appeared on the small stage, but there was no parade. At the beginning of the third set, I turned my phone off. I figured it was better to miss the first half of the final set than to miss the second half. 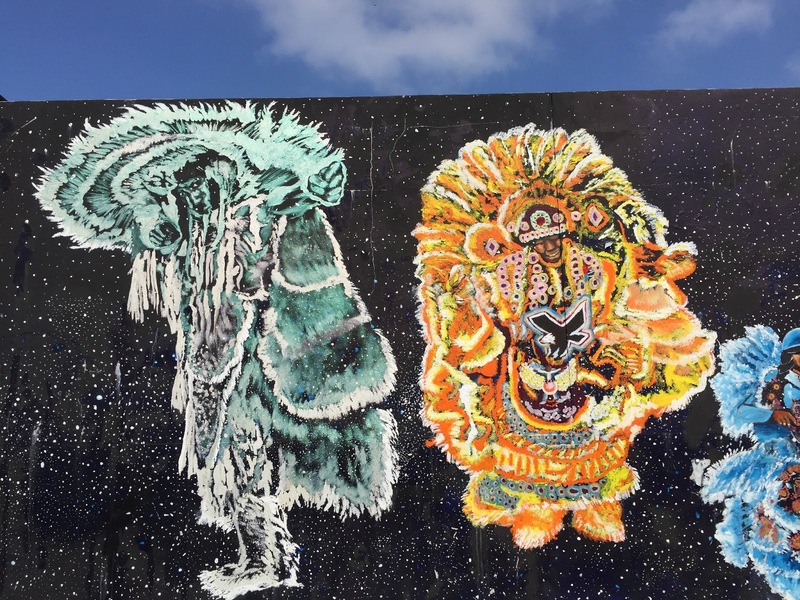 In the meantime, there were still no Mardi Gras Indians. At 3-2, I couldn't stand it any longer--I turned my phone back on. I saw Kuznetsova go up a break yet again, and I saw Vesnina come back again. I was in significant physical discomfort, but I had Sveta and Elena and a pitiful bit of battery left. At 4:00, there were no Indians. The crowd was huge, and just moving a few feet was difficult. It was a collection of all of my least favorite things--the sun, a big crowd and the sickening smell of food I can't stand. And then--to top off the entire cavalcade of errors--at match point, my video failed. At 5:00, there were no Mardi Gras Indians. We drove back across the lake. I knew that Elena had won, and--despite everything--I was so thrilled for her. I would have been happy either way, but seeing Elena win a huge title made me especially happy. The Mardi Gras Indians are known for being late, but yesterday, they gave "late" a whole new meaning. I suspect that had we gone to one of the smaller gatherings, we would have seen Indians. But we didn't. I'm sure there were tourists in attendance who were beyond unhappy that there was no real festival, and that the 1:00 start time was beyond a joke. 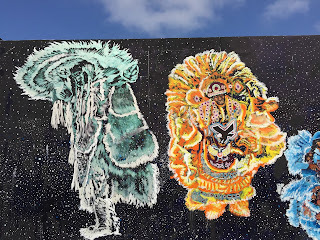 For all I know, the Mardi Gras Indians never showed up, though I did spot one or two of them on the street as we were leaving. I was so exhausted when I got home (did I mention that I'd hardly slept the night before? ), but I relaxed, had some dinner, and watched a replay of the second and third sets. This time, I got to see Elena win. I've seen a lot of very thrilling WTA matches over the years, but I've never seen one before under such ridiculous circumstances. Thank goodness for mobile devices. Elena and Sveta saved my afternoon. Unlike the Mardi Gras Indians, they showed up on time and put on a magnificent show. Of course, naturally, as you've probably seen elsewhere -- https://twitter.com/FortyDeuceTwits/status/843575394292781058, there was a mini Twitter firestorm during the match as people complained about the women's final "taking so long" and keeping everyone from seeing Federer (and, on ESPN, Fowler, though not on the same level, noted how long people were going to be sitting in the sun in the stands). Yes, the contempt for women's sport is no better expressed than in the ongoing "the matches are too short! "/"the matches are too long!" double bind. 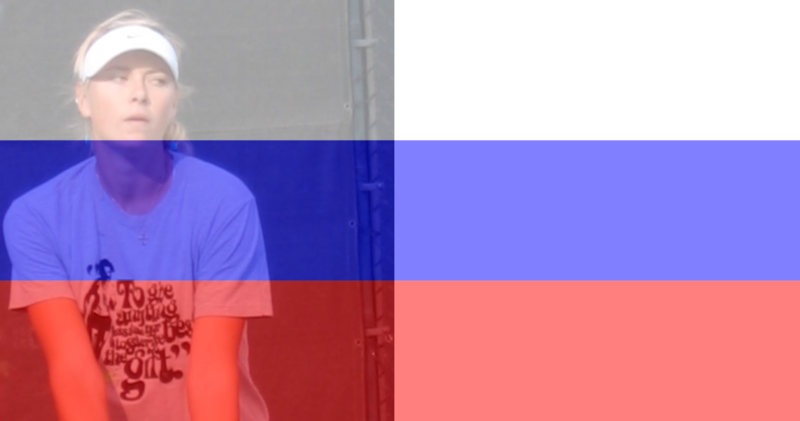 And anyway, Sveta was in the final: who on Earth thought it would be short and simple? !